He emphasizes the fact that problems arise when we do not honor this prioritization in roof and wall assemblies. For example, a design focus on the continuity of bulk-water and air-control layers means the assembly is less likely to have water or air leakage. That in turn means the need for drying is reduced and ventilation is relied on less. Drainage that uses conventional weather-lapped roofing including proper underlayment, flashings, etc. is a proven means to address the number-one threat of bulk water. Moving that water quickly and completely off of the roof is the best line of defense. Similarly, preventing air infiltration where it is not wanted means that vapor in that air is kept out too. That prevents condensation from occurring when the moisture-laden air cools on a material or surface and turns to water droplets. 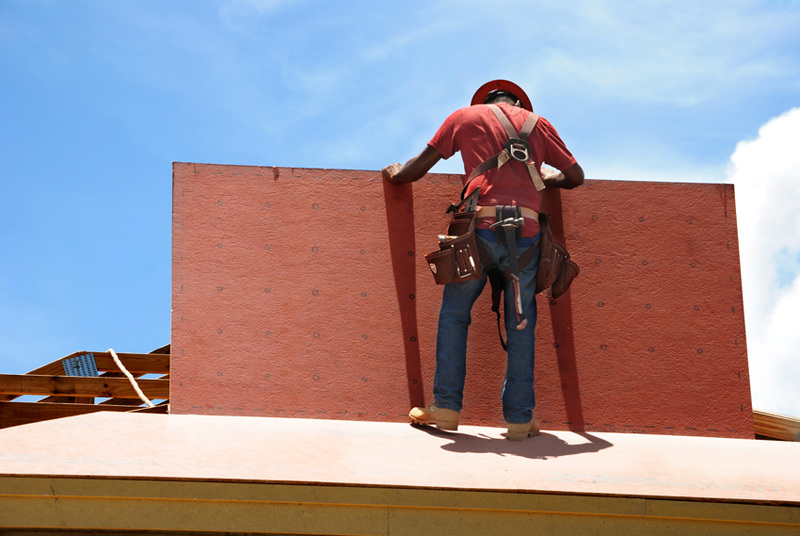 Providing an air barrier as part of the roofing sheathing is one way to assure continuity and effective performance of the roof. Since air barriers are second on the list, it is important to have a source to define whether something really qualifies as an air barrier or not. One of the leading sources for researching and testing materials and assemblies for air permeance is the Air Barrier Association of America (ABAA), which, according to the website, is a “national, not-for-profit trade association that consists of a wide cross section of stakeholders in the building enclosure industry. 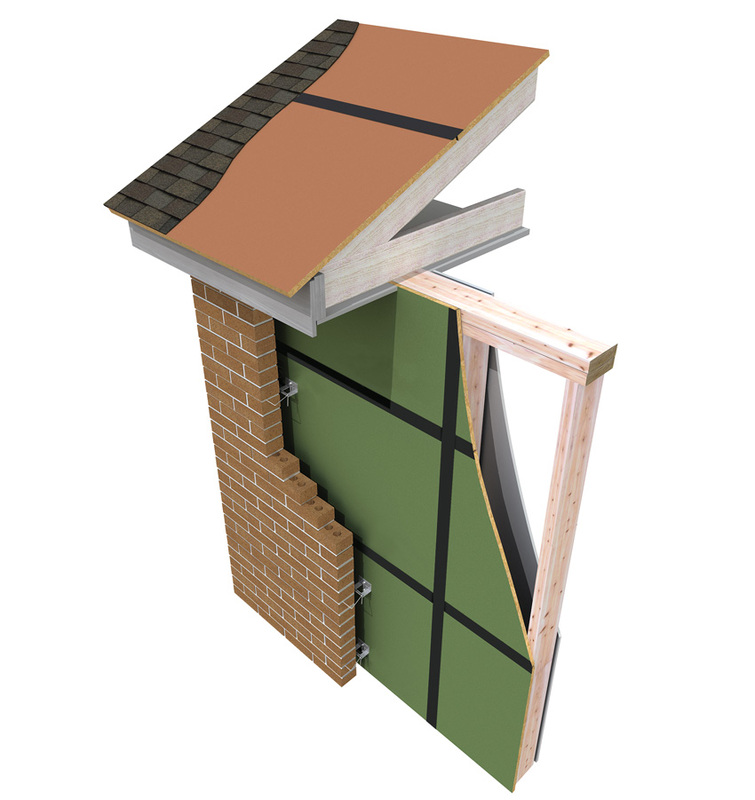 Their membership includes manufacturers, architects, engineers, trade contractors, researchers, testing and audit agencies, consultants, and building owners.” Using data and information from this organization can help identify both individual materials and assembled systems that will qualify to properly restrict airflow through a roof or wall. They can also provide information on critical areas to address in those assemblies through their education and certification programs for professionals. In some cases, materials can qualify as an air barrier and also as another type of barrier such as water or moisture, or insulation may, in some cases, qualify as an air barrier, all depending on the proper testing and reporting of results. Of course, if water is penetrating an assembly somewhere, either from bulk water or from airborne water vapor, no amount of roof surface drainage will solve the problem—it will only keep it from getting worse. Hence, the means of fully drying a roof assembly if it does get wet must still be properly addressed. There are two common options to provide that ventilation. The best and preferred means is to provide convective drying through a means that sets up an actual airflow through the assembly. Continuous soffit vents that are sized and balanced with a continuous ridge vent are the most common way to achieve this convective ventilation. In this case, air that is warmed by the sun or other means in a roof assembly is allowed to escape out through the ridge vent. That movement then brings in replacement air that is pulled in through the soffit vents, thus creating a full convective current as the means of ventilation. The second means of drying a roof assembly or materials is simply through diffusive drying, which is the natural process of materials slowly giving up their moisture by releasing it to the air as water vapor. That released moisture can then either move out to the exterior of the building or move to the interior. The speed and direction of the vapor diffusion can be determined by looking at the permeability of the materials used in a roof assembly. Building scientists, like Yost and others, refer to this as creating a “vapor profile” which allows them to help determine how well a particular assembly will dry, and in what direction (to the interior or exterior) if it does get wet. Clearly, designing the roof assembly to address water- and air-barrier continuity is the first and best approach. Then, proper ventilation needs to be provided so water or vapor has a ventilated path to escape and avoid causing problems. Of course, if an air leakage problem exists, adding ventilation isn’t the way to solve it—the source of unwanted air leakage needs to be sealed. Plenty of wood-framed roofs have been constructed over the past 40–50 years or so with different levels of understanding of the need to provide the four barriers and proper ventilation. Some assembly designs have come about through trial and error, and some have been found to work quite well under defined circumstances. In particular, some have tried to solve specific design problems, such as pitched, non-attic types of assemblies. One of the well-known design professionals who has spent a considerable amount of his time and effort looking at the barrier and ventilation/drying aspects of different types of roof construction assemblies is Joe Lstiburek, Ph.D., PE, ASHRAE Fellow, who is the founding principal of Building Science Corporation headquartered in Westford, Massachusetts. According to the firm’s website, “Dr. Lstiburek’s work has been focused on advancing the building industry with a lasting impact on building codes and practices throughout the world, particularly in the areas of air barriers, vapor barriers, and vented and unvented roof assemblies. Of note, his work through the Department of Energy’s Building America program led to significant research into the wetting and drying of walls and ultimately to a major code change relaxing the requirement for vapor barriers in the International Residential Code.” He and his firm have addressed all types of roof construction assemblies through research, testing, consulting, and forensic exploration and make a great deal of their findings available for free at www.buildingscience.com. 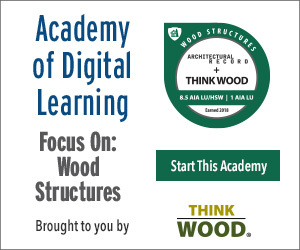 Among the most commonly used wood-framed roof construction approaches that Dr. Lstiburek’s firm and others have looked at are the following four. This is probably the most common type of wood-framed roof assembly being built currently. Vented attics rely either on engineered trusses or rafters with ceiling joists to form an open, unconditioned attic space. Here, the water barrier is located on the roof surface above the attic, while the air barrier is along the ceiling surface below with the vapor retarder and thermal barrier (insulation). Note that the air barrier in the walls may well be in a different location, such as on the exterior of the sheathing, so to be fully continuous, the details of air sealing need to connect these two locations. Attic ventilation above the air and thermal barrier is most commonly provided using soffit and ridge vents or other acceptable means if dictated by the roof design or type. Properly designed and constructed with attention paid to the needed levels of insulation as well as the integrity and continuity of all barriers and ventilation, this roofing system can be expected to perform very well over time in almost all climate zones. Among the most common wood-framed construction types, flat ceilings with an insulated attic above are prevalent and require proper ventilation as called for in the building codes.